The Employment Tribunal will tomorrow hear the case of a Christian nurse dismissed by the NHS after she spoke to patients about her faith, and occasionally offered prayer. During the time that she worked in the pre-op assessment department, Mrs Kuteh dealt with several hundred patients. The nursing sister and mother-of-three describes her dismissal as "a hugely disproportionate punishment". On average, Mrs Kuteh would see around 30-40 patients a week, and over the course of six months spoke to hundreds of patients. 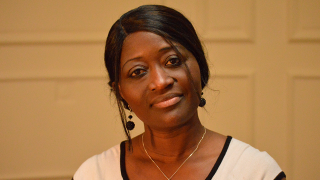 Mrs Kuteh said that although she had no intention of imposing her beliefs on others, she would sometimes tell them about how her own faith in Christ had helped her overcome adversity. "I would... reassure them, based on the joy and peace that I really have found in Jesus," she said. Mrs Kuteh said that from then on, she would only discuss religion if the patient asked her to. If they initiated the conversation about religion, she would check they were happy. Mrs Kuteh recalls the experience as "embarrassing and very painful", in light of her fifteen years' nursing experience. "I was walked out of that hospital after all I had done during all my years as a nurse and I was told I couldn't even speak to any of my colleagues," she said. After her suspension, Mrs Kuteh was investigated. NHS management claimed her discussions with patients while filling out the forms were "inappropriate" and made some patients "feel uncomfortable". During the investigation she was told that one patient had apparently complained to nurses that she had given her a Bible she did not want and had said she would pray for her, though Mrs Kuteh said she had only done so after the woman expressed an interest. While the NHS papers refer to "complaints" from patients, Mrs Kuteh was only presented with brief handwritten notes by colleagues who had recorded the patients' comments in a few lines, suggesting the patients casually voiced some discontent. Mrs Kuteh did not see the complaints before the investigation hearing and she was not allowed to call the patients to the hearing to investigate their claims. Following a disciplinary hearing in August 2016, Mrs Kuteh was dismissed the same day and the Trust referred her to the Nursing and Midwifery Council. She is now facing disqualification proceedings before the NMC. "Without proper investigation, she has been fired and her long career as a nurse has been ruined at the stroke of a pen, simply because some patients claimed she had made them feel uncomfortable. She may never be able to nurse again if the NMC disqualify her. "Sarah is a motivated nurse, motivated by love and compassion for those she serves in her day to day life. Matters arose in the context of discussing the patients' pre-op assessment questionnaires, which included questions about the patients' faith. "We hope that the Employment Tribunal Judge will rule that Sarah's dismissal was unfair and that she be will reinstated and compensated." Mrs Kuteh's minister, Pastor Jeremiah Emuchay, of Heart of God Ministry, said: "When we heard what had happened to Sarah we were very upset and referred her immediately to the Christian Legal Centre. "We know that the Christian Legal Centre helps people dismissed at work for speaking of Jesus but we couldn't believe that it had actually happened to Sarah. This is a woman who is passionate about Jesus and passionate about her job. We are all praying for a just outcome."